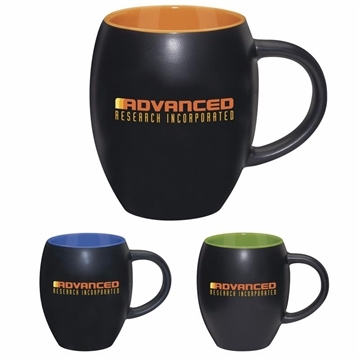 New update to an old classic, our barrel shaped mug with color interior. Great barrel shape with colorful interior. 17 oz. capacity when filled to the rim. It was exactly like the approved artwork. My rep recommended the product and it was great! Our clients also have provided us with positive feed back. Everybody really likes this. Very nice good quality product. I also liked that the lanyards were included. They look and feel like high quality products. Best decision ever to switch to you guys. this was my favorite product. High quality in an affordable cost.